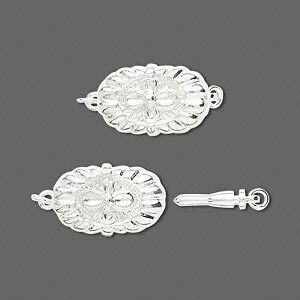 Clasp, bullet, silver-plated brass, 16.5x10.5mm puffed oval with flower design. Sold per pkg of 4. Easy to use! Clasp opens with one touch push-bottom backing. Extremely secure and long wearing. Useful styles for bracelets and necklaces. Brass base metal with bright silver electro-plating. 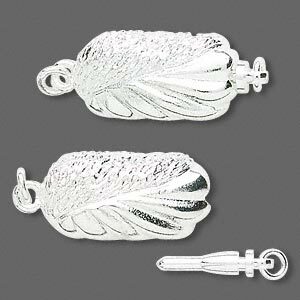 Clasp, bullet, silver-plated brass, 15x9mm puffed oval leaf. Sold per pkg of 4. 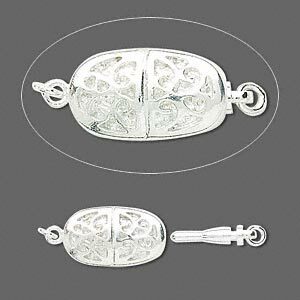 Clasp, bullet, silver-plated brass, 15x8mm puffed leaf oval. Sold per pkg of 4. 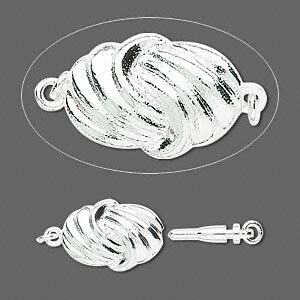 Clasp, bullet, silver-plated brass, 15x10mm puffed fancy oval. Sold per pkg of 4. 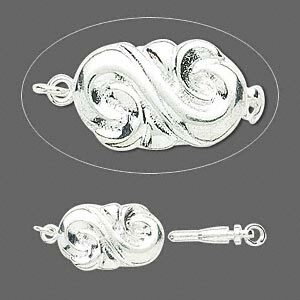 Clasp, bullet, silver-plated brass, 15x10mm puffed swirl oval. Sold per pkg of 4. 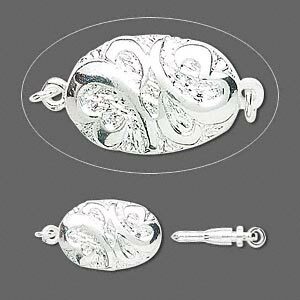 Clasp, bullet, silver-plated brass, 14x10mm puffed oval with ornate design. Sold per pkg of 4. 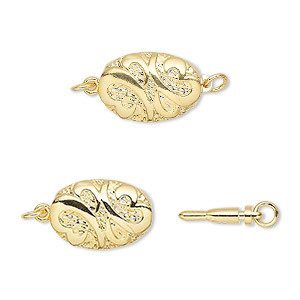 Clasp, bullet, gold-plated brass, 14x10mm ornate puffed oval. Sold per pkg of 4. 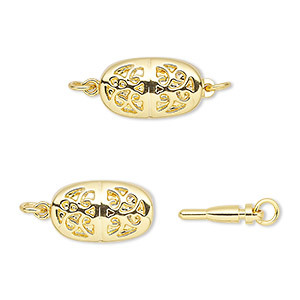 Clasp, bullet, gold-plated brass, 14x8mm puffed oval with cutouts. Sold per pkg of 4. 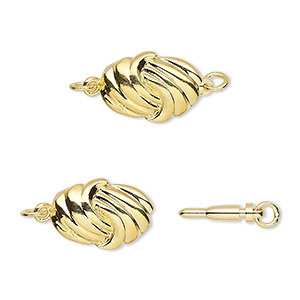 Clasp, bullet, gold-plated brass, 16.5x10mm puffed oval with swirls. Sold per pkg of 4. 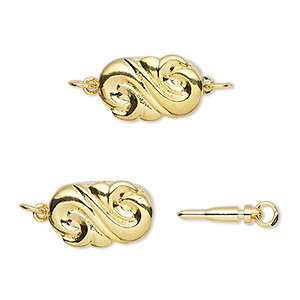 Clasp, bullet, gold-plated brass, 15x10mm puffed ornate oval. Sold per pkg of 4. Clasp, bullet, silver-plated brass, 16x11mm puffed oval twist. Sold per pkg of 4.